Borderline Personality Disorder – Infinite Sadness… or hope? Very timely was the day of posting about peace on 4 November (see my last post Dona Nobis Pacem – 2016). Just four days before the American Elections. 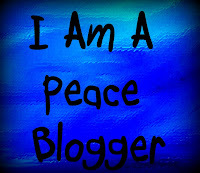 I am a strong advocate of peace, and of peaceful interaction amongst individuals. I simply don’t see any other acceptable way. But I tell you, beyond this desire for peace is a desire for all people to be treated kindly and with compassion. It breaks my heart that this is not happening right now. I know that my approach to treat all people with kindness and compassion, even my enemies and those intent on harming me, is a little unusual. I know a lot of people don’t understand my thinking. But then I know that I’m not alone in this quest for humanity. It may be that you consider me weird that I have no desire to harm those who might harm me or my loved ones. I can assure you that people greatly qualified in weirdness have said previously that I am weird. It’s okay with me. And maybe you think “what does a (white, heterosexual) kiwi from somewhere at the bottom of the Pacific Ocean, thousands of miles from the United States know about anything?” Fair call, except what is happening in the US affects me too. What is happening there affects our whole planet. But perhaps more than anything the US political scene affects me because my American friends are suffering. I hate that. I hate that some of them are in the minority groups targetted by the President-elect. Over the weekend I learnt a Facebook friend of mine had been told to kill herself by trolls commenting on a post about the Klu Klux Klan’s planned parade in North Carolina. Complete strangers (yes, more than one) telling her to kill herself! I was beyond shocked. I had earlier read it was happening, but when I learnt it affected my friend I admit I was crushed. It literally stopped me in my tracks, and I found it difficult to function for the rest of the day. Firstly, out of concern for my friend but then just pure horror that people treat each other with such disdain. I kept asking myself, where is the compassion? And you may think that compassion has no place in what is happening in our world. I respectfully disagree, as I have suggested above. I admit that I have been swaying between being crushed by what is going on in the world, and by being able to “carry it”. It’s tough for all of us. Especially those people in the US and people targetted by the President-elect. But for a moment, I need to take a slightly different angle to perhaps explain why it is so hard for some of us. People with Borderline Personality Disorder (BPD) usually have a great deal of trouble with feelings they experience to the extreme. That is, we feel it perhaps more deeply than people without BPD. Whatever your understanding of this personality disorder, and whatever your experience of people you know who have it, let me say that when there are such terrible things happening around the world, even in our own backyard, we have a very hard time. This can show itself in a variety of different ways, but for me, I have this overwhelming need to express compassion and to want to see other people do that too. For the life of me, I can not understand this hatred, contempt, and antipathy for fellow mankind. I can not understand wanting to hurt another human being (or animal, for that matter). I even can not understand this desire to strike back at someone who harms, or threatens to harm me. It’s just not me. I am no better than any other person on this planet, but I simply do not get it. I am sure that my particular BPD (and it is slightly different for all of us) is to blame for my desperate need for compassion to spread. And while it doesn’t, I admit I am crushed by it. It is completely overwhelming. Last night I started to go through my Twitter feed, something I admit I have put off for a few days. There I came across a list of fifty people who were being targetted by those spreading hatred. These were innocent individuals who had done nothing wrong. They had maybe expressed fear or weakness in a recent tweet and that was now causing them to be targets of this movement to encourage people to kill themselves. I put myself in their shoes, and immediately had a sense of how they must be feeling. Punished for feeling afraid. It is simply wrong. I can’t tell anyone else how to act, I can only choose for myself how I will be. But please, think about it. Don’t spread fire with fire. Just because another chooses to spread hatred, don’t be pulled down to their level. I am convinced that if I treat each other (including our enemies) with kindness and compassion then I can contribute to what can be a peaceful world. Don’t get me wrong, though. I will still speak up against what I see as wrong. Always. But I hopefully do it in a way that doesn’t seek to harm anyone. I’m sure this is possible. PS. Last night, after I started to draft this post, a 7.8 Richter scale earthquake struck New Zealand, north of Christchurch where I live. There has been major damage and so far, two people have died but I am happy (and amazed) to say that I slept through the whole thing. I have no idea how that happened. Thanks to those people who have expressed their concern for me and my family today. I am a little shaky to be back in an active earthquake region. Here in Christchurch, we could definitely do without that. Wishing those kiwis cleaning up after this, much love, a speedy end to the never-ending aftershocks and a peaceful night’s sleep tonight. Kia kaha (Be Strong). It was Thursday when every came to a peak. I have been sick for nearly a year. I’m talking sick beyond that which I would call ‘normal’. Because regular readers (and I know it’s difficult to be a regular reader when I haven’t been posting anything, so thank you for hanging in there) will know I have Fibromyalgia, which makes it hard to define anything as ‘normal’. Getting doctors to hear me has been hard, but I have persisted. Over the year I have been diagnosed with Osteoarthritis, Stress, raised white cell counts and lowered kidney function. But the music died with one last blood test. The results showed I had lithium toxicity. It was time for the music to die. Lithium toxicity is serious. You can die from it, and that’s the reason my doctor sent me straight to hospital (do not pass go!). Not quite serious enough to warrant an ambulance, I spent yet more money (I don’t have!) on a taxi to the hospital beacuse by now I had been ordered to stop driving. Yes, they’ve been expecting me. My bed was ready and my name was on the wall. It’s fair to say that I was nervous (beneath the myriad of symptoms on display and feeling decidedly unwell. Check Google if you want to know about the symptoms ). I know some doctors don’t understand that not all lithium users have Bipolar. I don’t. I was prescribed lithium for chronic suicidality and treatment-resistant depression. At the time, no one realised I had Borderline Personality Disorder. But the more pressing concern I had is that not all doctors understand that you don’t just stop lithium. What I needed was a psychiatrist, who understood these things, but at that time of day, there was not a chance. I was to a large extent, now at the mercy of the medical profession. Many hours passed as I lay in my allocated bed next to the nurses’ station (read that this means they were fairly concerned about me). I was in an assessment unit, and with my barely functioning head, I watched staff go hither and thither assessing what I guess is about 40 medical patients. Eventually, the rush of staff around my bed died off. I wondered why, but later came to the conclusion they had decided I’m not about to die. Phew! Finally, a fully-fledged doctor (read not simply a medical student sent in to ask all the embarrassing and not-so-embarrassing questions) came and announced that my lithium intake has to stop (immediately), and I had been admitted for four to five days, to “watch and see what happens”. Now, that’s scary! My heart sunk. I’d been in plenty of hospital beds before, and I knew I didn’t want this. To start with, the pillow was horrendous (I was well enough to have worked this out). I was struggling to speak by now (probably the toxicity but no one is really sure) but I struggled to utter that I’d rather do this waiting at home. Several more hours passed before the head doctor arrives at my bed. She agreed that I can do the waiting at home (the New Zealand Health System is such that I knew ‘they’ wouldn’t want to keep me in an expensive hospital bed if they don’t need to) but she lists off her demands. Blood tests every day, no lithium, etc… go directly to hospital if I feel worse. Several more hours passed before the paperwork is done and I am discharged into what is a cold, winter night. An aside at this point is that I am scared of the dark. Yes, an adult scared of the dark. Actually terrified. Think PTSD. I am alone and I am still feeling dreadfully unwell. I’m still struggling to speak. Oh and my heart rate is still pounding. But sent off into the night I had been and eventually I found a taxi home. I somehow convinced the driver to drive up my long drive to stop at my front door. So the music (lithium) had been stopped. Remember when I said I was nervous that this would happen. Well, now I am terrified. For 13 years I have taken lithium (perhaps religiously) and in that time I have regularly been told that I should not stop taking my lithium. I realise this is something of a medical emergency, but still… I’m not meant to stop taking my lithium. And what is going to happen now? I describe lithium as music simply because taking lithium set the music going again. It saved my life. I went from an out-of-control, mentally ill, struggling-to-stay -alive (Scrub that! I was doing everything I could to end my life) person. I had been like that for about 10 years. It’s amazing that I hadn’t achieved my purpose. In desperation (because me and the doctors had tried everything) the doctor suggested lithium. And it changed my life. Maybe not overnight, but in time the music started again. My life was back. Obviously life was changed, but the important thing was that I had it back. At this point, I have been off lithium for six days and I see my doctor today to decide what happens next. Do I go back onto lithium or do I accept that lithium has done its day and I can’t have it anymore? And that’s what terrifies me. What happens to me if I don’t have lithium? It saved my life. Ok, so it turned my life around. I am still alive because a doctor had the sense to try just one more drug. And she got the ‘right’ drug for me. I am scared terrified that my mental health will plummet into the depths. Will my hold on life disintegrate? I simply don’t want to go back to the life I struggled with 13 years ago. No hope. No desire to live. My ability to blog has been seriously affected by my health over the last year. It hasn’t just been about lithium toxicity, but rather a whole lot of issues that have yet to be resolved (or at least managed). That said, I love writing and I love blogging. I am going to try to get this going again. That way you can read what happens next, and maybe I can share the hope. CAUTION: This post contains issues of self-harm and suicidality, although not in any great detail (but you have been warned). I have Borderline Personality Disorder (BPD). That’s no big news for regular readers but if you’re new, it is important that I say this from the outset. I have BPD. That’s the angle that I am coming from. Many people with BPD choose not to admit to having it, mostly for the simple reason that there is a great deal of stigma attached to the disorder. But that’s not what I want to talk about, although I hope that what I say might be in some small way helpful towards smashing that stigma. Another reason people with BPD don’t talk about their disorder is that it is a very difficult disorder to talk about. There are many variations (think over 200), and that means that what people feel and experience is going to be different for practically every person who has it. If there is one thing I have consistently failed at as a writer, it is to describe what BPD feels like for me in a way that satisfied my desire to get it across to others. I have tried many times. I just haven’t managed to describe it as I really feel it. Every time I have written a post about BPD I have finished feeling dissatisfied. I might have got some aspect across, but I didn’t describe how BPD is for me. While I was diagnosed as having BPD some five years ago, I admit that for as many doctors who have said I had BPD, more said I probably don’t. They said I wasn’t typical of people with BPD. Even more said it wouldn’t be good for me to have that diagnosis (in my mind a strange thinking for diagnosing a health issue). Only those who said I do have BPD were willing to listen and hear that my experience is that BPD matches both my emotions and behaviour. To me, it wasn’t specifics that spelt BPD but rather an intrinsic way in which I deal with my emotions and my relationships with others. Face it, that’s hard stuff to talk about. But here are the issues for me (in no particular order). I am completely paranoid. I expect that friends/family are about to leave me or say awful things about me. They are constantly (in my mind) one step away from leaving me or hurting me. You name it, a lightbulb might blow… to an argument with a friend/family member, and I will (over) react by thinking it’s time to kill myself. Yes, it’s time to kill myself because it is an assumption that one day I will commit suicide and people would always be better off without me. It’s just a matter of time! Remember this is thinking rather than actions, although given enough thought and common depressive thought, BPD will drive me in that direction. I think that the best thing for me is to leave you… before you leave me. It would be best to quit my job just in case my boss is about to sack me. Actually this is exactly what I did in my last job. I thought they were about to sack me, so I quit. Actually I later found out that they had no intention of sacking me and were disappointed when I suddenly left. While I haven’t self-harmed for about four years, I regularly mull over thoughts of self-harm, particularly if something in my life goes bad. It’s not that I ever got any form of high from my years of self-harming (it was about control), but I just don’t value my body enough to say “no!” to myself. Thankfully it has been four years of fighting the urge rather than actions, but to be honest, it doesn’t get easier. Self-harm, for me, is not just cutting, etc but also includes substance abuse, extreme dieting, smoking, and excessive exercise. That’s my way of thinking about it and I accept that you may not agree. For me, it is all the negative ways I use to control myself and my body, not to mention exerting pain on myself. Not surprising now that I experience more physical pain through fibromyalgia, I am less likely to think about exerting physical pain, through self harm, on myself. I constantly think in ‘black or white’. Good or bad. Right or wrong. I can’t for the life of me even comprehend ‘grey’. It would be so much easier if I could. I try, but I am yet to master seeing the whole spectrum. It is possible for me to have no idea what I feel. Is it happy or sad? Is it hate or love? It is difficult, at times, to know. Maybe I feel both, at the same time. It can be right on the borderline. My emotions can cause me pain. The great Marsha Linehan says that people with BPD are like emotional third-degree burns victims. Personally I’m not fond of that analogy, but perhaps because I don’t see that my emotions hurt me as much as physical burns victims suffer from their injuries. I hasten to add though that I claim that statement as my own but not for others. I get that for others their emotions cause as much pain as physical pain. I know many people who have BPD who would say Marsha Linehan’s analogy is completely appropriate for them. I admit, with some reluctance, that I am inclined to think that everything is about me. In a time of extreme unwellness, I thought that 9/11 was about me. I can’t remember my reasoning but it made perfect sense to me at the time. But more commonly I assume that negative events, such as arguments and the like, are my ‘fault’. Interestingly I don’t apply the same logic to positive events. Perhaps I am only interested in destroying my health, happiness or well-being. And lastly, because this is one that appeals to me, people with BPD are sometimes prone to, what one author I read called, magical thinking in which they use unrealistic thoughts and beliefs to solve problems in their life (Robert Friedel in Borderline Personality Disorder Demystified, 2004). I admit that I do this (I’m not going to go into detail), although have never before seen it attributed as relating to BPD. My psychiatrist prefers to call it my ‘weirdness’. Having written all that (and apologies for the length), I think I have gone somewhat closer to describing BPD as it feels to me, but, I am somewhat terrified. Firstly, how are you going to treat me now that you have seen inside? But secondly, I need to remind you that this is me. It is not how it is for others with BPD. Maybe some of it might apply, but just as easily, some of it won’t. With the distinct possibility that I have not succeeded in what I set out to do with this post, I am including a link to another person’s version of what BPD feels like. I found it very useful and the temptation was to post it simply as it is. But I needed to do the ‘Cate version’, which would only ever be written. I hope you take time to watch. For each person who chooses to tell what BPD feels like to them, I believe more will learn and experience what BPD really is, and maybe one day the stigma against us will reduce. I have such an unstable sense of self that I fear my post will somehow destroy me and my relationships. Somehow it will confirm what I have suspected to be your earlier suspicions that I am a fake, a fraud and just too much work. I am posting it anyway because I know that writing this has somehow been a good journey for me. As much as I hope you have learnt something, I know that I have learnt. It is good for me to be able to say “this is how it feels to me”. One last thing I need you to know. You don’t have to try to somehow assure me that I’m not that fake, fraud or whatever. You don’t have to assure me of anything. All I wanted to do is done. I have shared how it is for me. Currently in New Zealand there is a campaign running to eradicate the stigma of mental illness. This is a bold goal by anyone’s standard. Can it be achieved? Personally I would love it if could be achieved in the timeframe of the campaign, three years. I support the Mental Health Foundation, who are behind the campaign. They do some great work but I wonder whether an organisation, that seems to prefer to talk about mental health than mental illness, can really make this happen. All of us have mental health to varying degrees but only some of us have, or are affected by, mental illness. It’s common that celebrities of all types come out to support such campaigns. Your country will have its own selection of them. I’m thinking Ruby Wax, Glenn Close and lately the Duke and Duchess of Cambridge for a starter. Celebrities in New Zealand (remember we’re a small nation) tend to be sports personalities, television personalities and maybe (but probably not) a stray politician. Step Forward campaign here is drawing from some of those celebrities to back it. Think John Kirwan, Pita Alatini and Gordon Harcourt among others. I don’t in any way mean to knock their contribution. I think it is great that they and others stand up and be counted among those affected by mental illness. My concern comes that I suspect for everyday kiwis, it is easier to accept that a celebrity is affected by mental illness in some way, than it is to say, accept that their neighbour, workmate or even family member has a mental illness. And unless that level of mental illness is accepted, then we won’t eradicate stigma. A week ago I found myself in one of my neighbour’s lounge in the company of a policeman and several neighbours. Another neighbour had earlier that evening expressed some pretty wild anger by punching holes (with a steel pole) the length of our wooden boundary fence. The police were called and the angry neighbour was eventually (but not easily) carted away to the Police Station for some ‘cool down time’. The rest of the neighbours (now also just a bit angry) were gathered together with the remaining policeman to compile a statement. The policeman was collecting our contact details, and when he got to me, he wanted to know if I worked. I admit I started to feel uncomfortable because I didn’t really want to get into this with my neighbours. They have probably worked out that I don’t work, but I didn’t want to discuss the reason why. Thankfully the policeman very quickly went to the next question. So we kiwis are pretty comfortable with difference, but when it comes to mentally ill neighbours, 48 % don’t want anything to do with us. They don’t want me as their neighbour. That’s why I wasn’t about to tell my neighbours (or the policeman) that I have a mental illness. One out of two of my neighbours (and I have a lot due to the shape of the property) would not be comfortable with me anymore. While I keep my mouth shut, I might not be doing anything for stigma, but at least my neighbours are comfortable with me. They might be happy okay to see Pita Alatini admit a connection to mental illness on a television advert, but being happy with the person next door is an entirely different thing. Going back to the #‎StepForwardNZ‬, having two ex-rugby players and a number of television personalities is going to help the cause, but in my opinion, it is not going to break the camel’s back. It’s possible that I come from a somewhat unique position. It is not at all easy to admit that you have Borderline Personality Disorder (BPD). It is a particularly disliked mental illness. Think manipulative drama queens (apparently!). While I am pretty open with friends and family that I have a mental illness, I know that they will either not know anything about BPD or they will have enough misinformation to immediately hold bias against me. It’s just not worth going there, and so I don’t often admit to them what type of mental illness I have. You can say I am not helping stigma, but I am protecting myself. Until there is more acceptance of the existence of mental illness, and as a result stigma is reduced. At that point, there is more chance that people like me, with BPD, can be accepted for who we are. I signed up for the Step Forward NZ campaign because I support in essence what the Mental Health Foundation are striving for, but unless they have a whole great deal hidden under their hats, I don’t think that what they are doing will be enough to eradicate the stigma of mental illness. Being one of thousands to put my name on a website is easy. Telling my neighbours that I have a mental illness and that illness is BPD, is a whole other ball game. Somehow I need to know my neighbours will still accept me. I need to know that I can just be. I know that there is effort to be had from both sides. Until then that few rugby players, etc won’t be enough. I have yet to see one of them admit to having BPD. Depression and Anxiety are a little bit easier to admit to (I know from the 17 years of mental illness before BPD was diagnosed). I don’t mean to offend anyone with that statement, but it’s simply my opinion. Until I can admit as easily to having BPD as to having Fibromyalgia we won’t have stepped far enough against the stigma of mental illness. Newsflash: For those who read my last post, I am happy to tell you that I have found somewhere to live. I shift at the end of the month. This is a huge relief! What we need is sunshine… and a few other things.